OSWEGO NY — Hannibal’s Scott Baker and Oswego’s Will Weimer began their friendship as young golfers at Griffins’ Greens many years ago. Baker and Weimer bought Griffins’ Greens, closing on the purchase Feb. 16 after more than two years of negotiations. 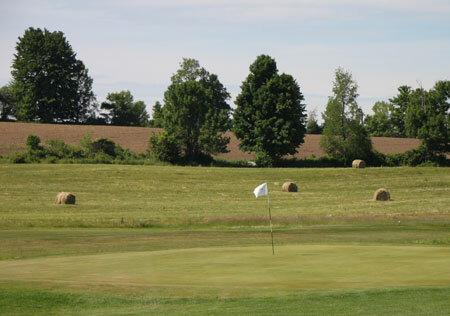 The 18-hole course is located at 229 State Route 104A in Oswego Town. Since the closing, preparations shifted into high gear to get the course — now named Stone Creek Golf Club — ready for the season. There was much to be done, but both Baker and Weimer didn’t seem to mind. They are following their dream that began at the course. “We joined when we were 13 years old,” said Baker, who teaches physical education in the North Rose-Wolcott School District. “We met each other out here. 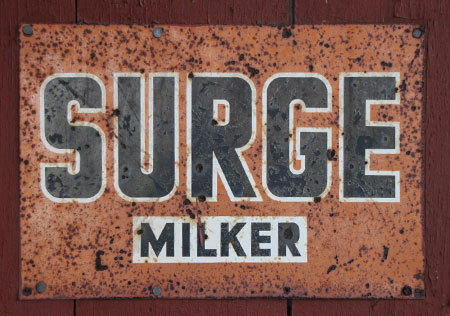 That’s where it all started. We’ve been best friends since that time. Weimer, a PGA golf professional, had been working as the assistant pro at Oswego Country Club for many years. 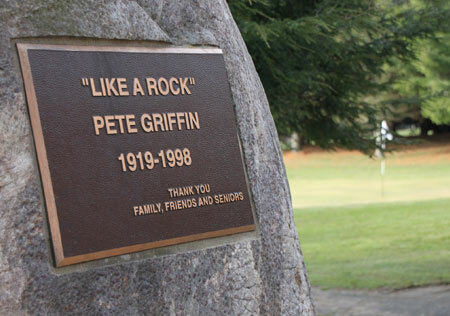 He said he has fond memories of his youth golf days at Griffins’ Greens. The golf course is 40 years old, and it has grown to become an important part of the community, Weimer said. Weimer said he’s thankful to have had the opportunity to work with the staff at Oswego Country Club. Both Baker and Weimer said the course had many visitors while they were working to get Stone Creek ready for play. “The people that have been here will continue to come here. We have two original members that started 40 years ago. The people who have supported the Griffins I’m fairly positive will continue to support us. That’s a huge plus coming in,” Baker said. Weimer said he believes many of those he has helped through his years of golf instruction in this area will also support Stone Creek. While the new owners have some changes they’d like to make, they are going to take their time and do them the right way. “This is one beautiful slice of heaven,” Weimer said. “It’s a gorgeous land. 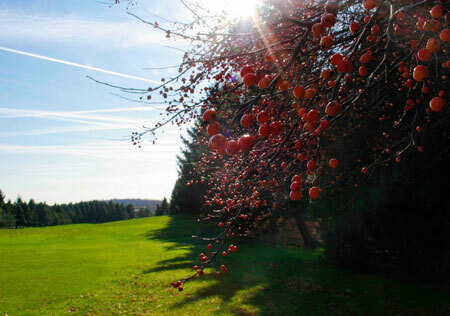 We purchased 143 acres, 99 and a half acres of which is where the golf course is currently located. Weimer said one project would be to restructure the tee boxes, getting them to fuller growth. They are exploring some drainage options to remove some of the water, which will allow them to improve the fairways. Baker and Weimer would like to put in a practice facility to assist them with teaching the game. “Like anything in life, if you struggle with it, it’s not as inviting,” Weimer said. “If we’re able to teach people and help them improve, they’ll want to be here more.” Helping young golfers will be another priority at Stone Creek. “We’ve got a couple of initiatives. He has two young children that are avid golfers. My boys, the oldest is going to Le Moyne to play Division II golf. We’re from golf families. We will have one to two PGA Junior League teams,” Weimer said. The captain-and-crew PGA Junior League matches are played in a three-hole set with substitutions, and they all wear team shirts. Spectators come out on carts, and there are snacks on the course for the kids. Baker said he’d like to host a high school golf program. Hannibal used to have a golf team that played its home matches at Griffins’ Greens. “We’d like to get that back,” Baker said. The new owners are also looking into the possibility of having a dining facility in the clubhouse. “We’d like to at some point potentially have some type of dining facility upstairs. That’s something that we’re looking into doing,” Baker said. Weimer explained how he and Baker arrived at the new name for the course. “The main feature people are impressed by is that surrounding the perimeter of the golf course there is an original stone wall. Through the middle of the property, Eight Mile Creek runs. Stone Creek seemed to be a natural,” Weimer said. 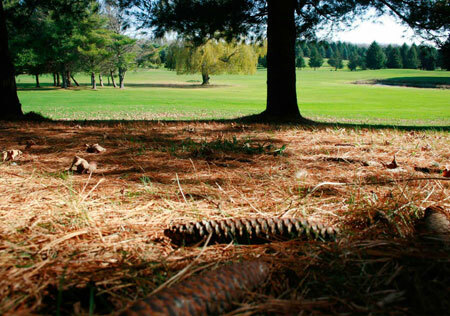 Their goal is to make Stone Creek Golf Club player-friendly to every golfer in the community. 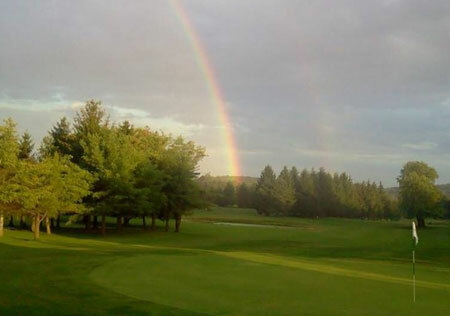 Work continues on the website for the course at www.stonecreekgolfoswegony.com and the main source of information right now is through @ StoneCreekGolfOswegoNY. The phone number for the course is 315-343-2996. Weimer said that the golf club would employ between 10 and 14 individuals during peak season. Looking out at the ninth green and beyond, the new owners smiled. They are living their dream.